Intrigued by Chinese medicinal herbs but not sure how to use them in cooking? Here are three recipes from Taiwanese chef Arron Huang and Majestic Restaurant chef Yong Bing Ngen, using herbs that are commonly available at Eu Yan Sang. 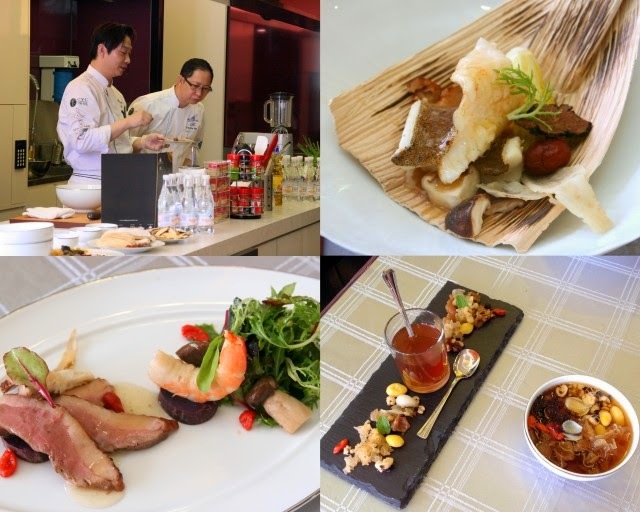 They presented this at a World Gourmet Summit workshop at ToTT earlier this year. The recipes are not difficult but they make impressive dishes.